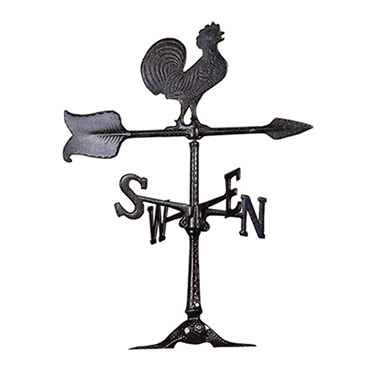 Our weather vanes are Amish made and work perfectly as a decorative element for your stylish hen house. 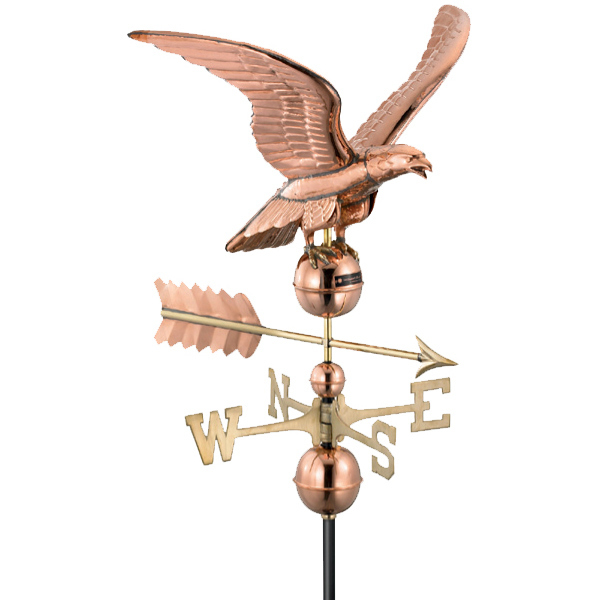 You can have both a cupola and weather vane if you like. The weather vane will sit atop the cupola. 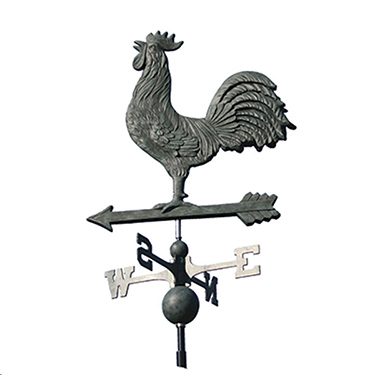 They are common elements on barns around Lancaster, PA and add a unique design element to your chicken coop. 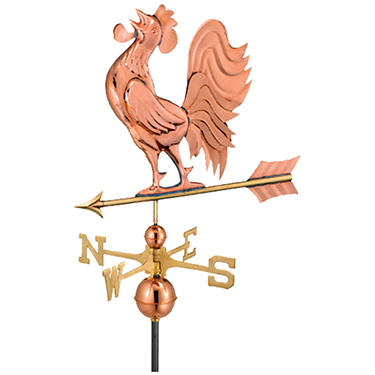 Please note that coops shipped long distances will arrive without the weather vane attached as it may break during travel. 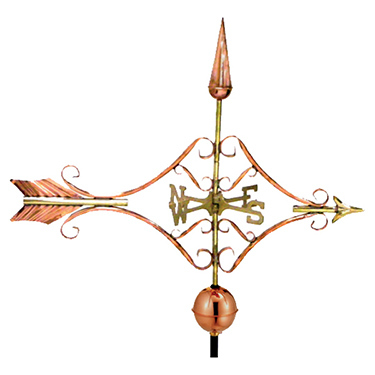 Prices vary for weather vanes depending on the size and materials. Please see our great selection below. 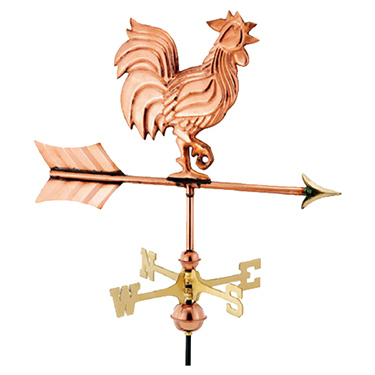 Customize the look of your chicken coop with this beautiful copper arrow themed weather vane. It is 24" high. 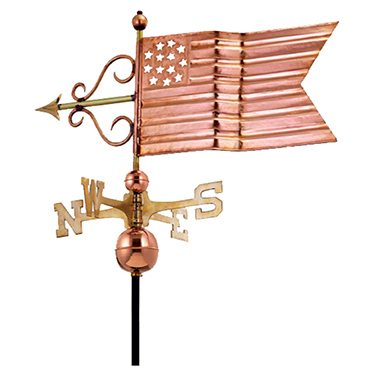 Our American Flag weather vane will look stunning at the top of your chicken house. It is 24" high. 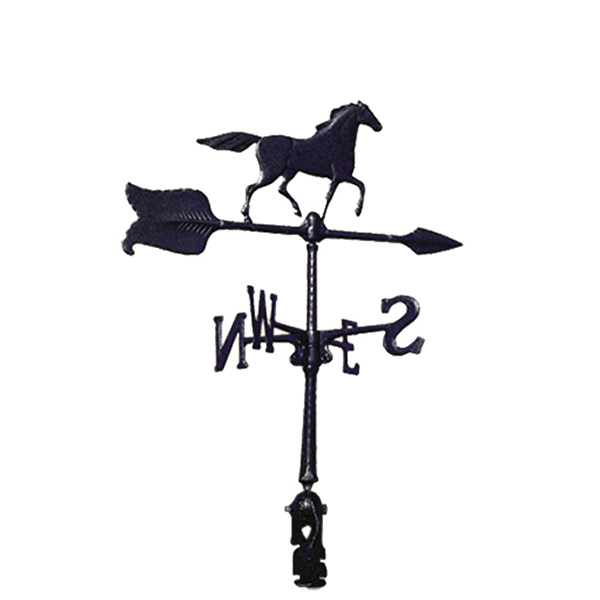 This is just the weather vane for horse lovers. 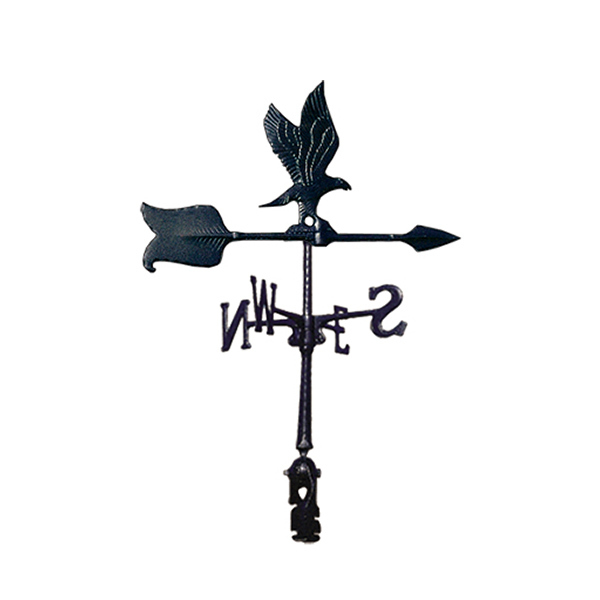 Top off you chicken coop with our black horse weather vane. It is 24" high. Another choice to customize your chicken coop. 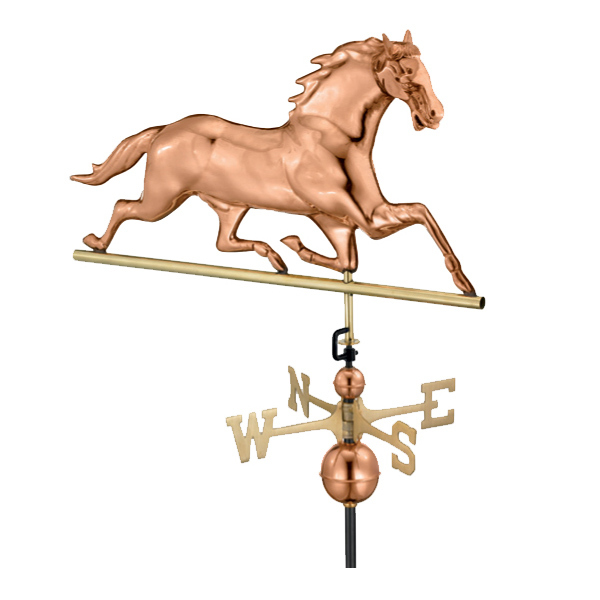 Our copper horse weather vane will add a touch of personalization to your hen house. It is 24" high.